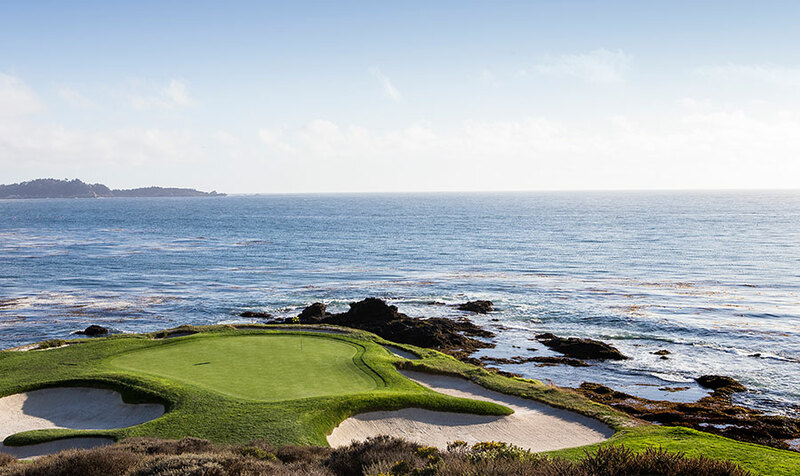 Ride the Monterey Express Shuttle to the U.S. Open at Pebble Beach and enjoy the easiest and fastest way into the tournament! Shuttle runs daily from 6am to 7pm. Park for free in the Cannery Row Garage and pick up the shuttle at the corner of Cannery Row and Prescott Ave. If you’re staying at the Victorian Inn, Monterey Bay Inn or Spindrift Inn, you can easily walk to the shuttle pick-up spot. The shuttle is $20 per person per day roundtrip. The United States Open Championship is the annual open golf tournament of the U.S. It is the second of the four major championships and is on the official schedule of both the PGA Tour and the European Tour. The first U.S. Open was played October 4, 1895, on a nine-hole course at the Newport Country Club in Newport, Rhode Island. It was a 36-hole competition, played in a single day, and won by 21-year-old Englishman, Horace Rawlins. In the beginning, the tournament was dominated by experienced British players, a pattern which wasn’t broken until 1911 when John J. McDermott became the first native-born American winner. American golfers soon began to win regularly and the tournament evolved to become one of the four majors. The U.S. Open is the only one of the four major championships which does not go immediately to a playoff if there is a tie at the end of the four rounds. Instead, the players go into a fifth 18-hole round the following day (Monday, as long as there are no weather delays); but if a tie still exists after, then a sudden death playoff is held. The U.S. Open has gone to a sudden death only three times, most recently in 2008 when Tiger Woods defeated Rocco Mediate on the first sudden death hold. The victory made Woods the sixth player to win three or more U.S. Open tournaments. For full details on the shuttle to and from what promises to be another exciting event, please visit www.canneryrow.com or call 831.657.6488.